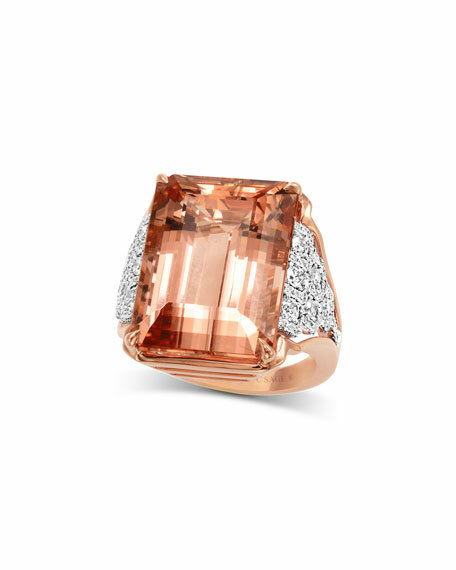 Frederic Sage ring from the One and Only Collection. 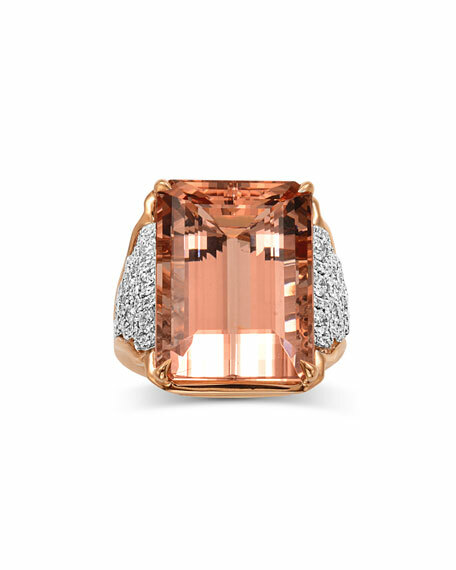 Emerald-cut morganite center, 22mm (0.9"). Pavé white diamonds at sides. 0.88 total diamond carat weight. 24.69 total morganite carat weight. For in-store inquiries, use sku #1597689.